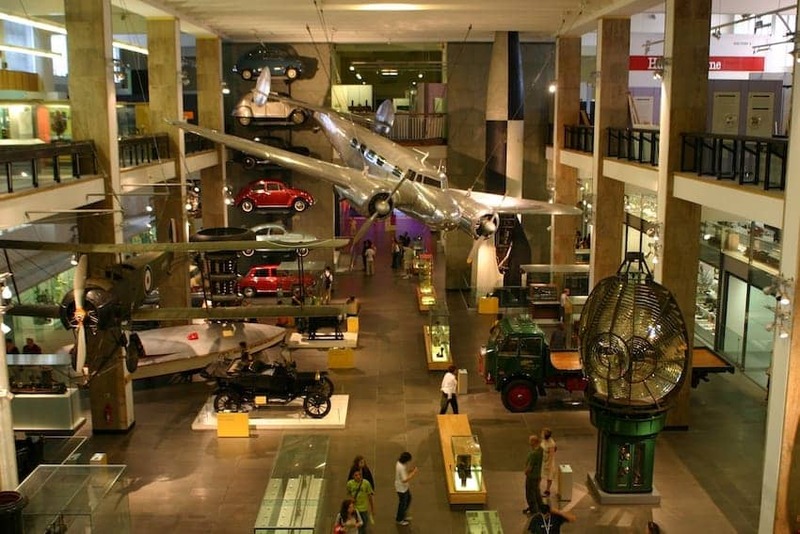 The Science Museum in London was first established in 1857 and is now a global record of scientific, technological and medical achievements since the 18th century. The collection includes famous exhibits such as Stephenson's Rocket, the first jet engine and a reconstruction of Crick and Watson's model of DNA. It also contains hundreds of interactive exhibits. An IMAX 3D Cinema shows documentaries and a new wing focuses on Bioscience. The Museum is a leading centre for the presentation of contemporary science to the public.